The influx of more than a million refugees and migrants to the Greek islands in the past year has stirred up difficult memories for a dwindling group who followed the same route during World War Two, but in reverse. 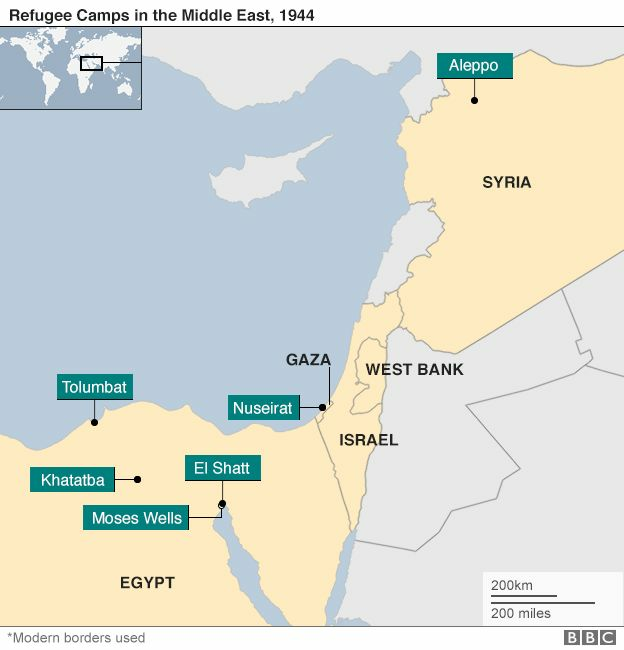 As German and Italian troops occupied Greece, tens of thousands of people fled by sea to refugee camps in the Middle East. At the end of the war, they began heading home. Most made it back safely, but for some the journey ended in tragedy. 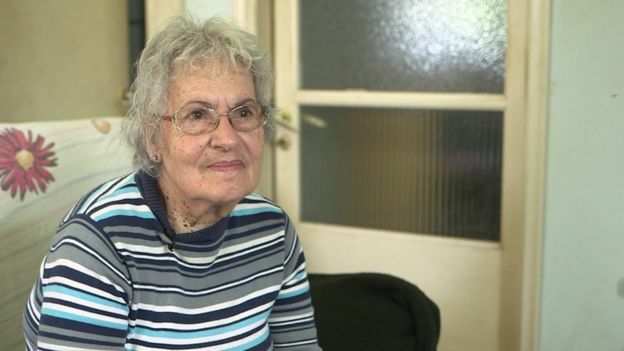 Eleni Karavelatzi was 12 months old when in 1942 her family fled the Nazi occupation of Kastelorizo, a Greek island 2km (1.5 miles) from the Turkish coast.They sailed first to Cyprus and then to a refugee camp in Gaza known as El Nuseirat. They stayed there until the end of the war. 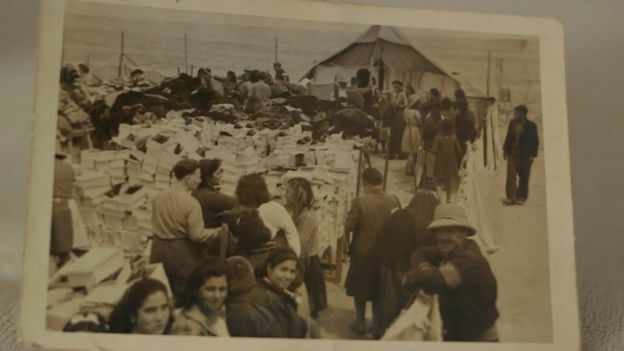 In September 1945, a British vessel, the SS Empire Patrol, left the Egyptian city of Port Said carrying Eleni’s family and 500 other Greek refugees. Within hours, fire broke out onboard. Thirty-three passengers died, including 14 children. 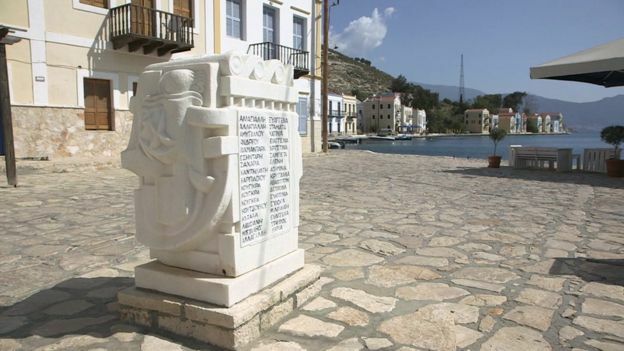 To the east of the monument lives Kastelorizo’s only other survivor, Maria Chroni, who lives with her granddaughter. Maria Chroni, who was born in 1937, clung for life on a piece of wreckage. «The Germans were here and we were hungry. I was three back then,» remembers Marianthi Andreadi. Marianthi remembers some of the faces that stood out on her journey. 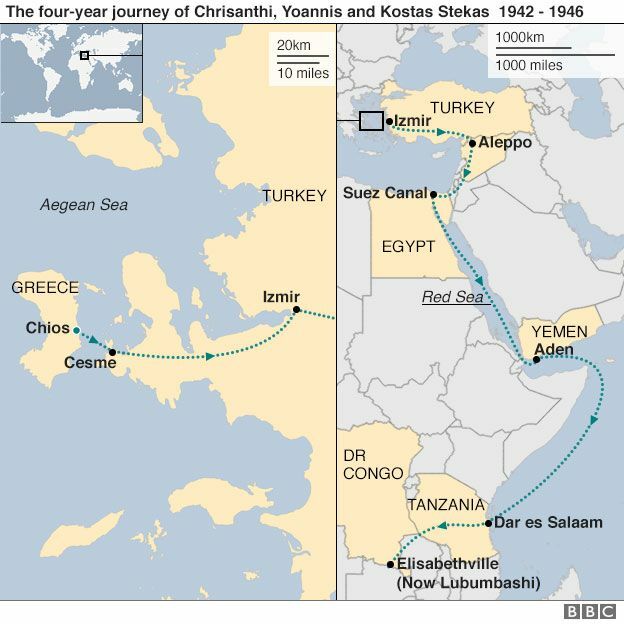 Ioannis Stekas travelled first to the Middle East and then into Africa. He explains how his father sold their properties to send him and his brother abroad with their mother, Chrisanthi. «He was planning to follow us with my 10-year-old sister. But shortly afterwards the Germans banned migration towards Turkey.» In her diary, written down by Ioannis, his mother writes: «We went to Cesme (in Turkey) and stayed there for a month, then headed to Izmir, before travelling for three days by train to Aleppo.» Ioannis’s older brother Kostas was at that point drafted into the army by the Allies. Ioannis, aged six, carried on with his mother on their long journey via Egypt to Dar es Salaam on the coast of Tanzania before continuing across land to Elisabethville, now Lubumbashi in the Democratic Republic of Congo. 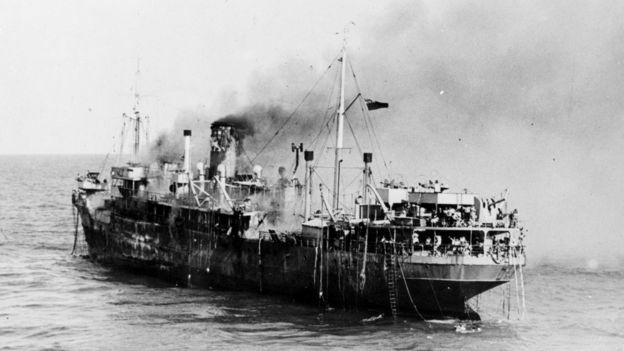 «After Egypt we took a cargo ship and crossed the Red Sea to Aden, a British colony. We stayed two days inside the ship as they were bringing food supplies for the rest of the journey. While Greece’s returned refugees feel a bond with the new wave of displaced people, age makes it difficult for them to meet. But they hear new stories from Greek TV and Marianthi Andreadi believes that despite her country’s financial problems «we’re doing what we can». From their balconies, the former evacuees watched Syrian refugees coming off packed fishing boats. «It’s like a mirror to the past,» says Maria Chroni. 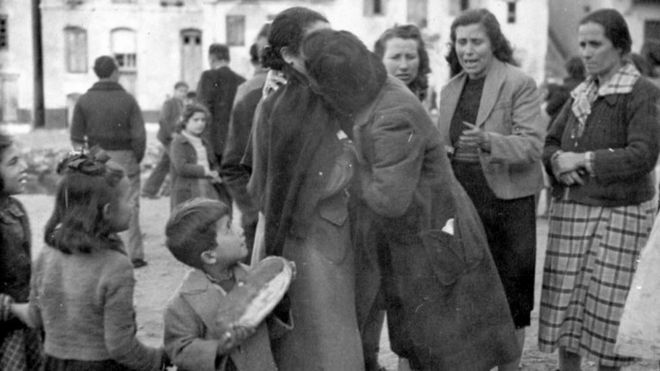 «The hardest thing is having to witness the arrival of children.» Eleni points out that the Greek evacuees made it back home and life returned to normal. She is not sure if the same will happen to the Greece’s new refugees any time soon.